In Las Vegas, hanging out in suites are all the rage. It only gets better when you get a full CM Storm product tour chock full of goodies for experienced and new gaming-PC-building enthusiasts. Building your gaming rig goes beyond just buying the best processor and video card. Cooling, powering and casing play big roles – roles that can be as simple or as complex as you like. Afraid that this may be over your head? Don’t be. 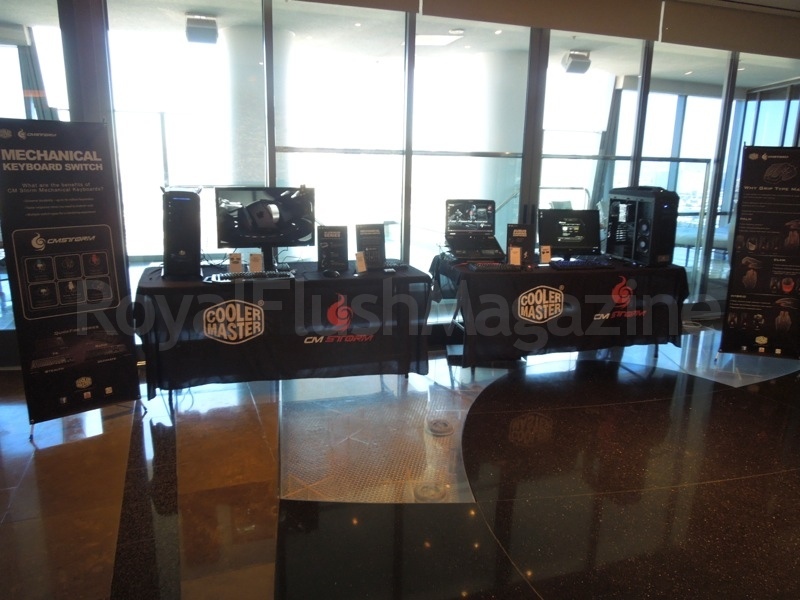 Our friends at Cooler Master are not out to only supply you with PC parts and peripherals. They intend to help you learn about the components of gaming pc’s that may have intimidated you in the past with their CM University website. What products are they offering? 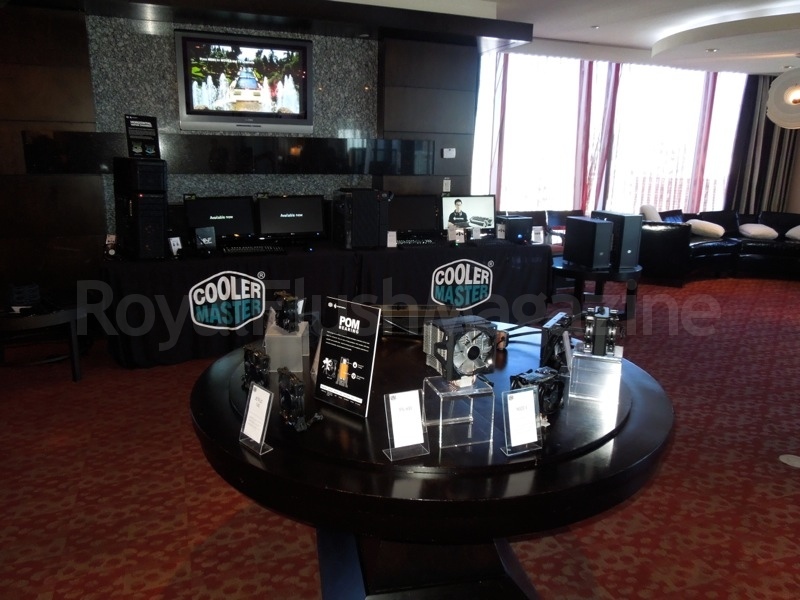 Well continue on to Cooler Master’s CES 2014 Product Tour! 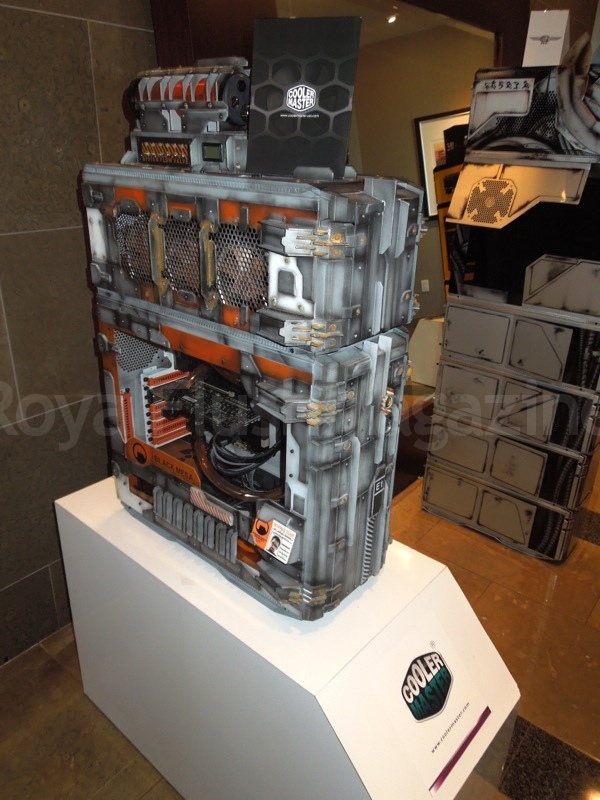 Here Rajiv shows off what Cooler Master can provide you in terms of PC casing. I mean, you’re not just going to connect a keyboard, mouse and monitor to exposed circuit boards, are you? 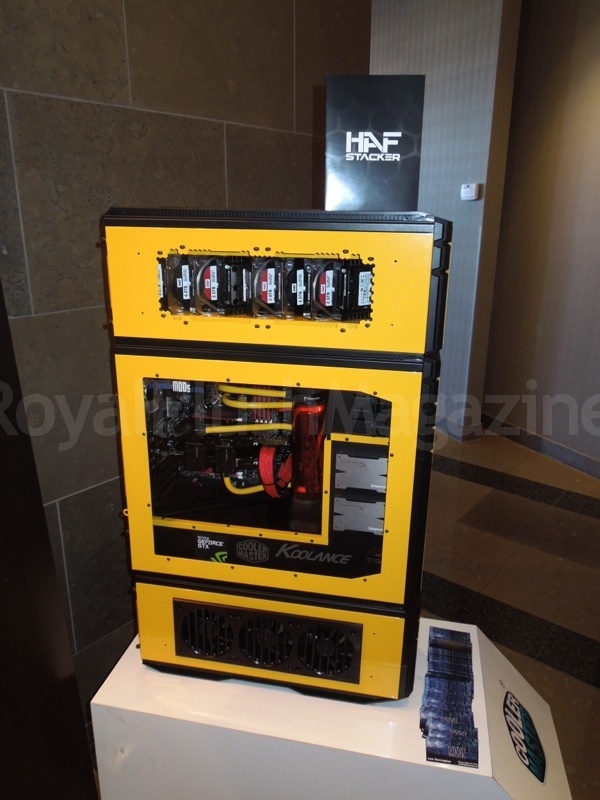 In case you missed it, the HAF Stacker casing solution was the big CM Storm announcement at the last Pax Prime in 2013. 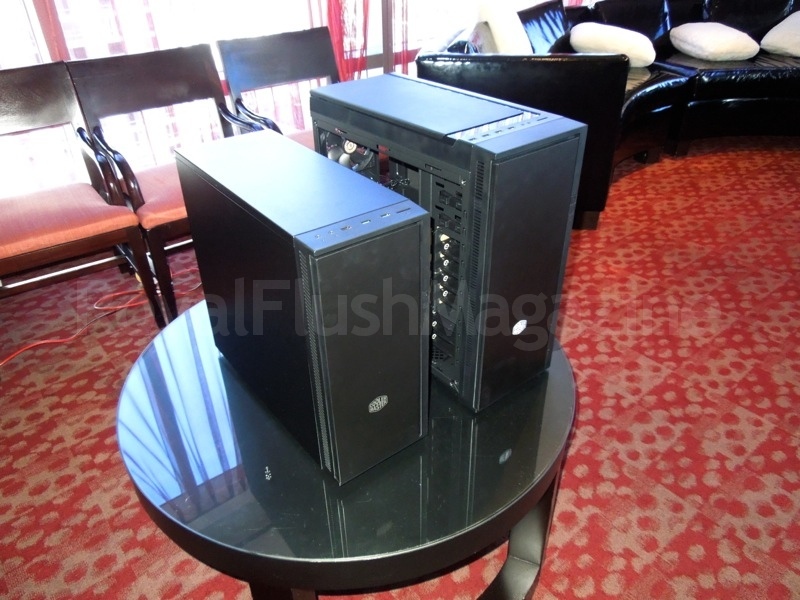 The HAF Stacker acts as scalable casing allowing you consider PC builds of any size. You can look even deeper into the product with our Pax coverage here. Rajiv goes on to show a new casing prototype that will be influenced by the PC-building community and the new Elite 110 – a mini-ITX case with a front mesh panel and vents on the top and side panels for better airflow. Already have a gaming PC or just looking for cool gaming gear for standing out amongst your friends? We step away from the PC building for a second to introduce some gaming essentials with a sense of style. The Aluminum Series is CM Storm’s new collection of gaming peripherals featuring customizable aluminum plating. The Pulse-R is a gaming headset with custom 42mm drivers, white LEDs, and detachable noise canceling mic. The Reaper is an 8200 DPI gaming mouse with programmable keys, on-board memory for macro storing, and a clutch key for changing DPI on the fly. The Mech is a gaming keyboard that’s fully backlit, can hold up to 75 macros and 5 profiles, and can be ordered with the Cherry MX switch of your choosing. In case you don’t understand the value of being able to choose the switches in your keys, RFmag’s Infinite_Ammo touches on it his gaming keyboard review. You can also go even more detail at CMUniversity here. Well, we brought up keyboards, so let’s go even deeper. Since Cooler Master wants you to understand what you are buying before you dive into their CM Storm line-up, they offer a $15 switch tester for keyboards to help you make an informed decision. You can also use the money you spent on their switch tester as credit towards your next CM Storm purchase so you effectively learn about switches for free. 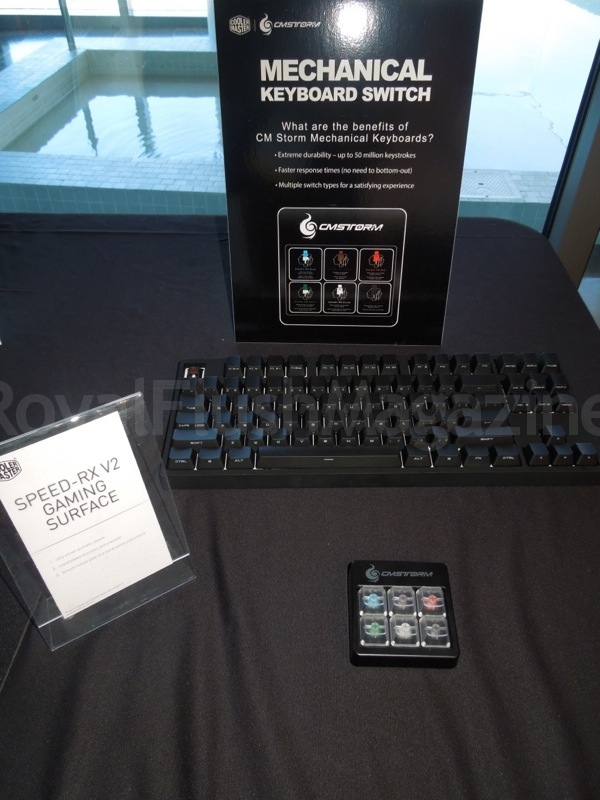 In the video, Rajiv shows off their Quickfire keyboards, also featuring choices in switch types and back-lighting. But the new announcement in the keyboard field comes in the form of the Nova Touch TKL. It uses new Japanese hybrid capacitor switches, providing the tactile feel of a mechanical keyboard while feeling like the “ivory keys of a grand piano”, per Rajiv. Backlit compatible, it provides an executive level of a typing experience. 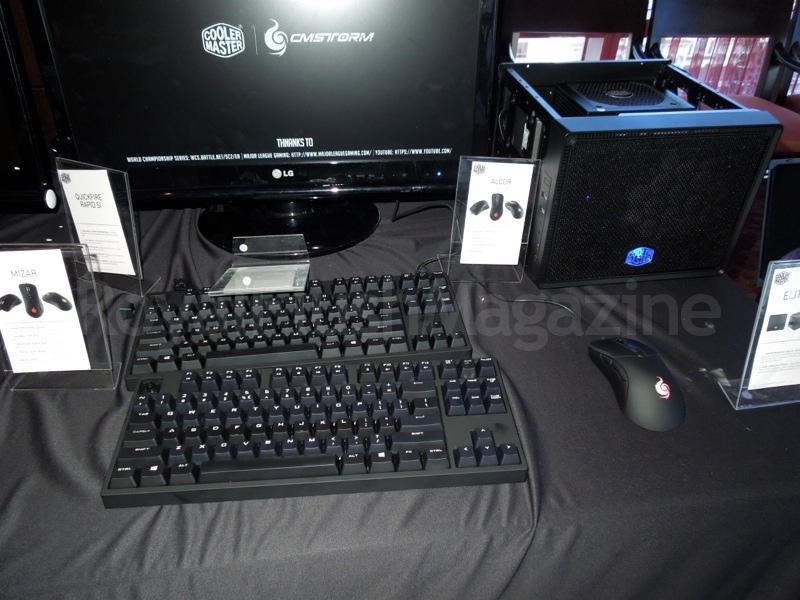 We also got to see more of CM Storm’s gaming mouse line-up. Other than the aforementioned Reaper, we were re-introduced to the Havoc, a nifty gaming mouse which I reviewed here. Rajiv also showed the Mizar and Alcor – mice featuring a classic or “throw-back” build for the old school First Person Shooters. The difference between the two are the Mizar sports an 8200 DPI Laser Sensor while the Alcor has a 4000 DPI Optical Sensor. No need to argue about the rigors of optical vs laser when you can buy the same product in either variant, right? With a company name like Cooler Master, you would have to expect that you see some PC cooling components. Here Alex showed us some of their jet fans equipped with POM bearings that allows for friction free spinning. Thanks to this, their jet fans promise over 100,000 hours of use and promote competitive air flow while using less RPM’s (revolutions per minute). He also shows their Nepton water cooling solutions with premium sealing that uses the same material as found in car brakes. This allows for considerable protection against the sneakier leaks that present themselves after long periods of time. Also in water cooling, the Glacier series sports powerful 3500 RPM pumps and the capability for expandable tubing. Additionally on display, they have air cooling units with larger but quieter removable fans, in case you were interested in passive cooling using syncs. How do you expect to run your rig without power?! 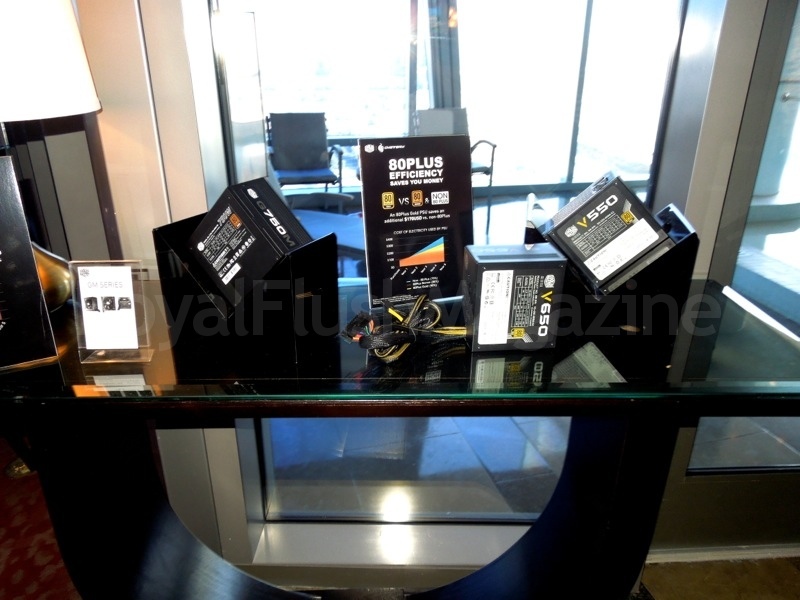 Alex showed us Cooler Master’s line-up of power supply units (aka “PSU‘s”) with 80 Plus Certifications. Why is that important, you ask? Since PSU’s are reused even in complete PC overhauls, you need them to maintain their efficiency as they age over the years. Pay up front for a quality PSU and you save money in electricity costs as you waste less electricity than you would with non-80 plus units. Last but not least, in the mobile accessories department you have laptop cooling stands. Laptops naturally heat up when you stress them with day-to-day activities. That is even more true with gaming laptops that use more power and work harder than a machine that you just use for Facebook’ing. Cooler Master provides you with quite possibly every conceivable solution on this front. They supply various units with additional USB ports, adjustable heights, movable fans with adjustable speed controllers (as seen in the Notepal U3 Plus), and even support for 17 inch laptops (such as my Asus G750JW). You can find their full selection here, check for yourself! 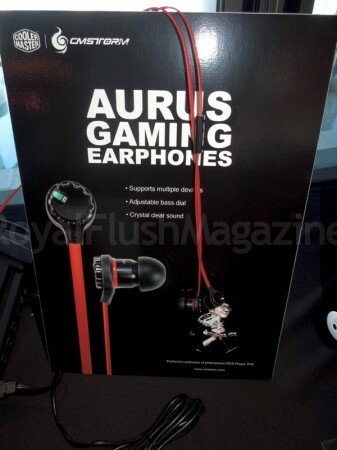 Other than laptop coolers, they also showed us their new Aurus 8mm earphones with adjustable bass (BassFX Technology). You can toggle the bass level using a simple dial, giving you more control in how you enjoy your many mobile devices! 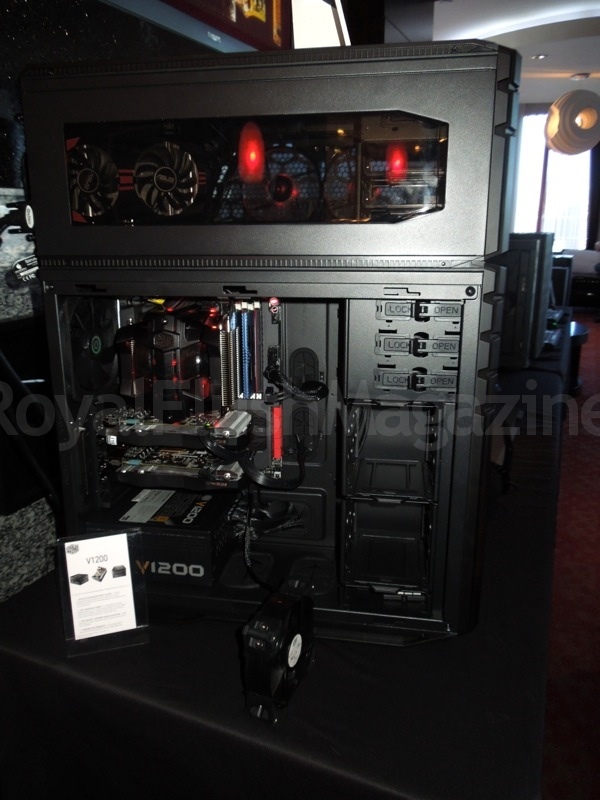 Building or modifying your PC is not the elitist sport it used to be. Thanks to the web and sites like Cooler Master’s CM University, you don’t have to be in the dark. Still don’t want to dive into PC internals? No worries. 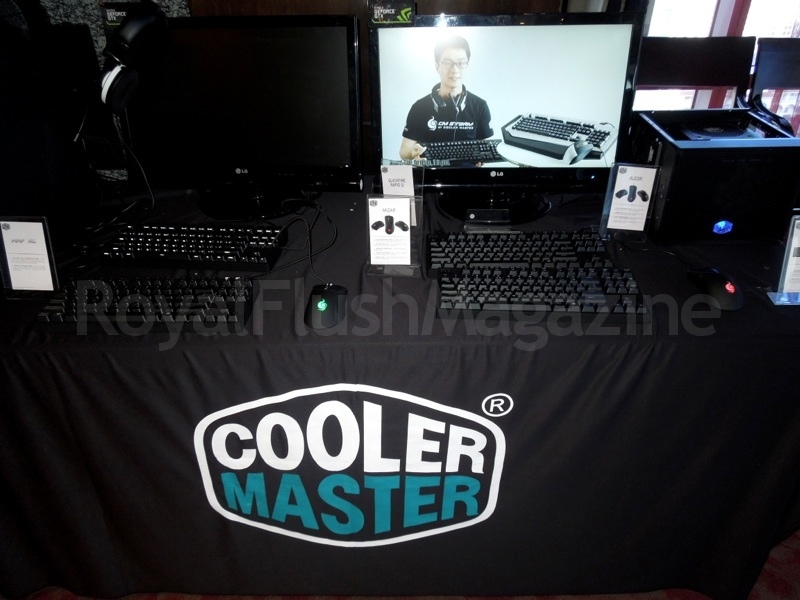 Cooler Master has a robust PC gaming peripheral line-up for gaming enthusiasts of all levels.